In the context of the "Reproduction Measurement Web Waddenzee" 64 young and 56 adults are colour ringed in the period 2005 until today. 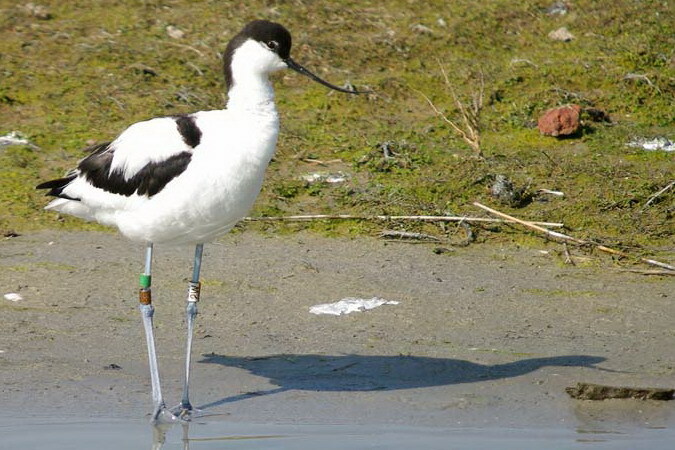 Most of the birds are ringed in the Noorderleeg, Northern Friesland outside the dykes. Left upper walking leg (tibia): white coded ring with a combination of 2 numbers and /or letters. Right upper walking leg (tibia): upper green and lower metal. 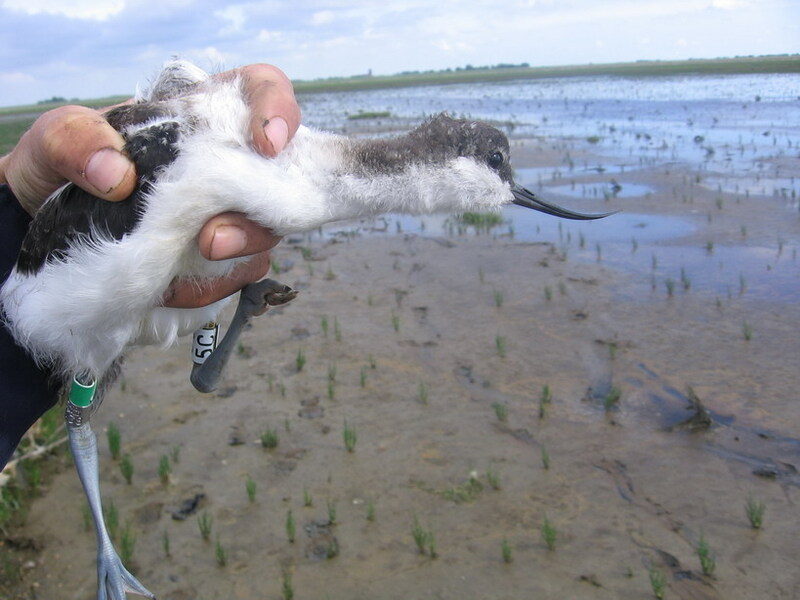 Young Avocet. Noorderleeg 2008. © Bram Ubels. 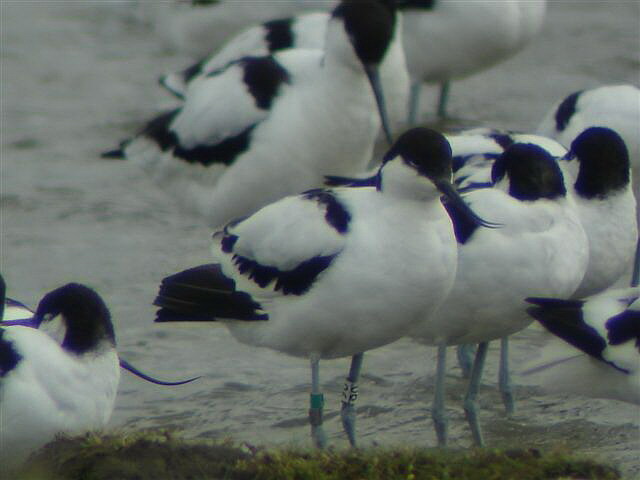 Colour ringed Avocet. Spain 7-3-2008. © Rafa Garcia.